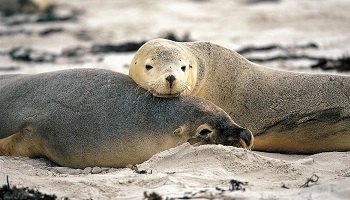 The Island’s diverse landscapes are home to sea lions, fur seals, kangaroos, wallabies, koalas, echidnas, platypus, goannas, 253 bird species (many rare or endangered), possums, bandicoots and even whales which pass through its waters in winter. But it’s not all about wildlife – the Island’s farmers run sheep, cattle and produce some extraordinary quality foods whilst the grape growers complement that with elegant wines. 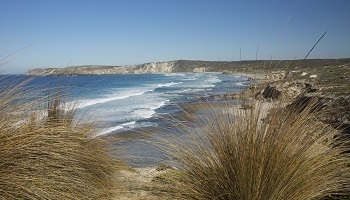 The wildlife, farmland and rugged coast, combined with friendly locals producing wonderful food often elicits the response from guests – “...at last I feel like I am in Australia”. 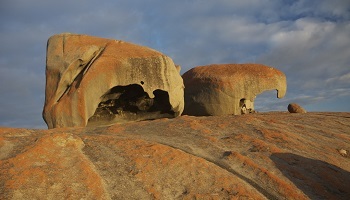 Former wildlife ranger and Islander Craig Wickham, Exceptional Kangaroo Island’s founder, has assembled a team of dedicated, sharp-eyed, outdoor enthusiasts who combine the role of naturalists, historians, driver, guides and story tellers who share their knowledge of the Island’s plants, animals and people. The promise is “good food, good wine and wildlife in the wild”.